Charged particles from the sun head to the earth on the solar wind which is directed by the Earth’s magnetic field towards the Polar Regions. The particles collide with electrons in nitrogen and oxygen atoms and produce a striking variety of colours in the sky: hues of green, purple and red wafting across the night sky. When is it possible to see the Aurora Borealis? On dark, cloudless nights, the Northern Lights can be seen. In the Polar Regions, this means between the months of October and March. When there is cloud cover, you can’t see the Lights as they are so high in the atmosphere. 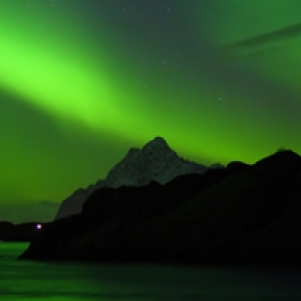 What does the term Aurora Borealis mean? In 1621 the French astronomer and philosopher Pierre Gassendi named the Aurora Borealis after the Roman goddess of dawn, Aurora, and the Greek name for the north wind, Boreas. You can see the Northern Lights in the polar region that encircles the earth north of the Arctic Circle. Many parts of Scandinavia fall within what is known as the Aurora Belt. 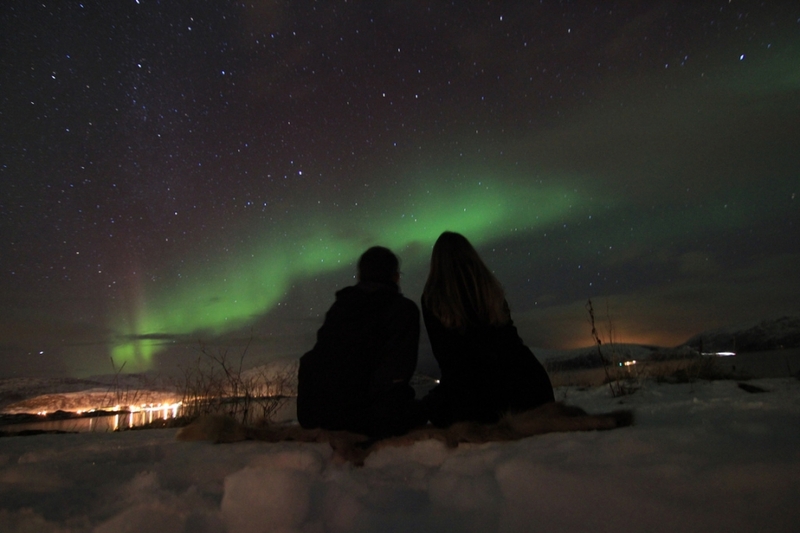 Our short breaks in Tromsø are ideally located for this very purpose and the city has for a long time been associated with research into this incredible natural phenomenon. Parts of Finland, Sweden and Iceland also fall within this region. Ask us about our range of destinations. When is it best to travel to see the Northern Lights? Around the equinox time at end of September and March is good for Northern Lights activity. But dark winter nights are also ideal from October onwards. If you are keen to do winter sports too during your break, the days begin to get longer from February onwards so that’s also a great time to experience the ‘Magnetic North’ and possibly the Aurora Borealis too. We cannot guarantee that you’ll view the lights. Many different factors come into play such as weather and cloud cover. However, we’ll endeavour to ensure you have the best opportunties to see the Lights as possible. Our guides are experienced at detecting the best conditions on the day of your excursion. All excursions leave in the evening. If you’re feeling brave, some guides will keep going all night until they find the best place to view the Lights! If you decide that you’d like to do an additional Northern Lights excursion while you’re abroad, we can organise this from the UK. How do I take photographs of the Northern Lights? Your guide will show you the best way to photograph the Northern Lights. 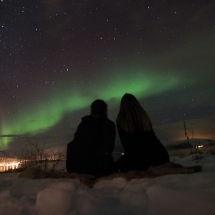 What does a short break to see the Northern Lights include? 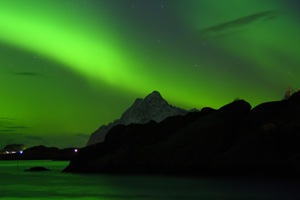 All our Northern Lights breaks include an excursion to search for the Northern Lights along with comfortable accommodation in hotels or cabins. We can tailor make the holiday to suit your group and sense of adventure! We offer winter experiences such as dog sledding, skiing and snow shoeing to choose from as well as trips to the wilderness to understand more about the Northern Lights from a traditional perspective. Please get in touch with us to find out more about our short breaks, honeymoons and holidays. Enquire now about our holidays. Is this experience suitable for our winter honeymoon? Yes! It’s a beautifully romantic experience and something you will never forget. We’ll put together a honeymoon that can include a night in one of the snow hotels as well as a wide range of accommodation and activity options. We can also put together some bookable activities for your wedding gift list. How much does a short break cost? Short breaks in Tromsø, Norway start at £289 pp (excluding flights) for 3* hotel accommodation and £329 pp (excluding flights) for 4* hotel accommodation. This is based on two people sharing a room and includes a guided Northern Lights excursion to give you the best chance to view the Aurora as possible. Flights start at £220 per person return. How can I organise an experience to view the Northern Lights? Get in touch with Magnetic North Travel by emailing us or telephoning +44 (0)845 5195 242.